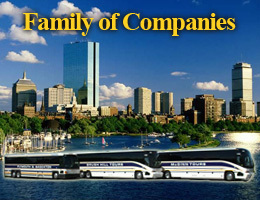 In addition to running a daily service to and from Foxwoods Resort Casino in Connecticut, Brush Hill Tours also offers private group trips to Foxwoods, Mohegan Sun or Atlantic City. Let our knowledgeable sales staff plan your itinerary; one day, overnight or multi-day trips. Our buses will meet you at your desired pickup location and return you home in safety and comfort. We offer special packages, including casino discounts and bonus packages for every group.